This after the Los Angeles Dodgers blew past the Milwaukee Brewers 5-1 on Saturday evening at Miller Park. The Brewers received a solo home run from potential National League Most Valuable Player Christian Yelich in the bottom of the first inning, but the Dodgers would score the final five runs of the contest. Los Angeles scored two runs in the top of the second inning to steal away the lead from the hosts. 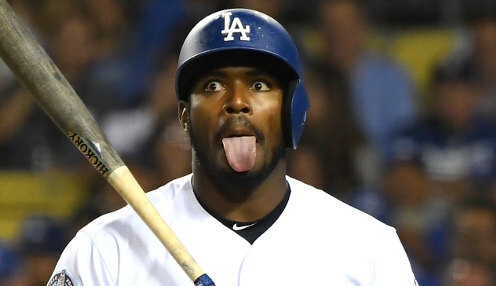 Leading the way for Los Angeles was Yasiel Puig, as the 27-year old right fielder from Palmira, Cienfuegos, Cuba blasted a three run home run off of reliever Jeremy Jeffress in the top of the sixth inning to give the visitors from Southern California an extra cushion that ultimately was not needed. The Dodgers are the first team since the 2008-2009 Philadelphia Phillies to reach the World Series in back to back seasons in the National League. Walker Buehler had a solid start for the Dodgers, as the 24-year old right handed hurler from Crestview Hills, Kentucky lasted 4 2-3 innings while allowing one earned run on six hits, conceding zero walks and striking out a game high seven batters for the contest. Los Angeles will travel to Massachusetts to square off with the Boston Red Sox on Tuesday in Game 1 of the World Series at Fenway Park. Chris Sale has already been designated the starter for the Red Sox in the opener with no decision yet on who will head to the mound for LA. The Dodgers are 9.50 to win the series while the Red Sox are 1.071.